The project is developed by Ambria Homes and it is undoubtedly one of the most trusted names in real estate today, when it comes to building beautiful residential complexes that encompasses both functionality and extreme beauty. The project is situated in Sheppard Avenue, a prime property in Toronto and is sure to become one of the most well known addresses after it had attained completion. The Sheppard Avenue East Condos has about 18 storeys and has a total of about 120 condo units. The sizes of the units start from 582 sq feet and goes up to 1083 sq feet. The height of the project is more than 250 feet. The ceiling height of the units is about ten feet, with the rooftop units having greater height. The price of the units would only be disclosed on request to the interested buyers. The larger condos are extremely spacious and they have three bedrooms plus a den. The project is expected to attain completion is mid- 2021 but the bookings have started. There are a number of amenities to be availed here, including a state of the art fitness center, which is located very near to the garden for those who love the outdoors. One can also go to the gym for an all round development. The project is pet friendly and has a pet wash section. There is an indoor pool as well, along with a sauna. One can also invite guests to stay in the well furnished guest rooms and make sure they have a wonderful time in the sparkling party room inside the premises. 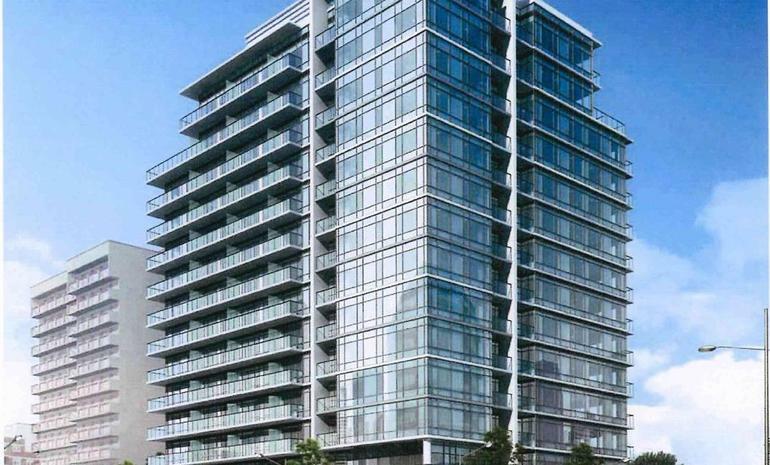 The project is located in the Sheppard Avenue, amidst other major landmarks of the city. The region provides a stylish and modern ambience. There are quite few parks in the location that provides ample scope to relax and to enjoy a pleasant walk. The urban road in front is going to take the residents to any location in the city because of the close proximity of the subway and because of the easy availability of the public transports. The streets are lined with multiple eateries and shops which are all built for those looking forward to a great lifestyle. Ambria Homes started its journey decades ago and has never looked back since then. They have over hundreds of buyers and have developed a number of prime properties all over North America. The company believes that people should find comfort and yet functionality where they stay and so all the residential units designed by the company has always made optimum utilization of space. They also make it a point to build their homes in an eco friendly manner. It is state of the art project combining good taste and technology.